Elaine would love to speak at your event. Please email her at SplashesofSerenity@yahoo.com or call her at 315-335-5580. Thank you. January 24, 2019: Buena Vista Wesleyan Church Seniors Luncheon, Bath, NY, 11:30 a.m. Please call Carol Button 607-566-2406 for reservations. March 10, 2019: Beartown Road Alliance Church, Corning, NY, Worship service 9:30 and 11:00 a.m.
March 16, 2019: 1st Trinity Lutheran Church, Wellsville, 11:00 a.m. 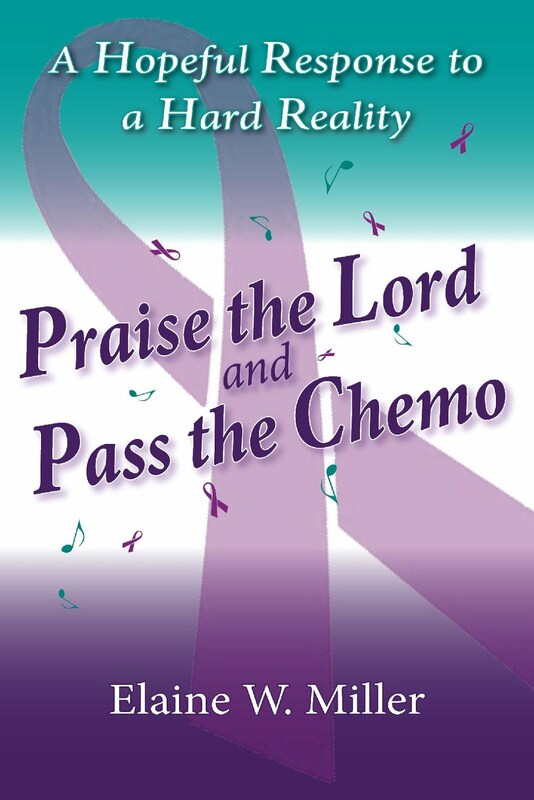 Speaking on Praise the Lord and Pass the Chemo: A Hopeful Response to A Hard Reality. Lunch will follow. Reservations not needed. 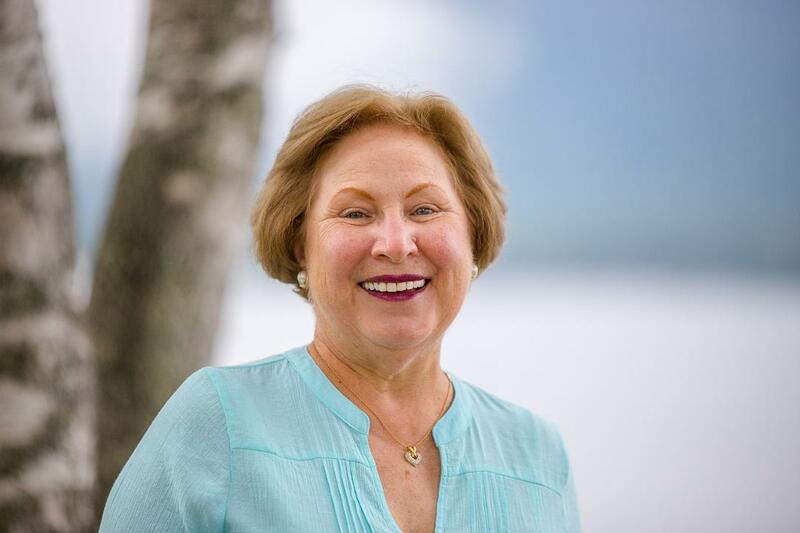 March 23, 2019: Author Meet and Greet and Book Signing: Southeast Steuben County Library, 300 Nasser Civic Center Plaza, Corning, NY, 1:00 - 3:00 p.m.
November 6, 2019: Christian Women's Connection, Bent Creek Country Club, 620 Bent Creed Drive, Lititz, PA. Please call Blanche at 717-368-4889 for reservations. November 7, 2019: Christian Women's Connection, The Gathering Place, 6 Pine Street, Mt. Joy, PA. Please call Sandy at 717-367-5140 for reservations. December 10, 2019: Christian Women's Connection, Auburn, NY. January 20, 2018: Fulton Alliance Church Writer's Workshop, "Touching Hearts With Words" 10:00 to Noon, Fulton, NY. February 13, 2018: 11:30 a.m. Christian Women's Connection, Grace Evangelical Free Church, 101 Graeff Street, Cressona, PA. Call 570-245-5476 for reservations. February 13, 2018: 6:30 p.m. Reading Women's Connection, Giannotti's Country Manor, 3118 Pricetown Road, Fleetwood, PA 19522. Call 610-750-4673 for reservations. February 15, 2018: 9:15 a.m., Reading Christian Women's #2, The Highlands, 2000 Cambridge Ave, Wyomissing, PA. Contact Harriett at raha420@verizon.net for reservations. February 15, 2018: 6:30 p.m., Kutztown Women's Connections, Janelle's Catering Hall, 360 Fleetwood Road, Mertztown, PA. Contact 610-351-7550 for reservations. May 23, 2018: Lock Haven, PA Christian Women's Connection, Flemington First Church of Christ, 714 Canal Street, Mill Hall, PA, 11:50 a.m. Contact Bobbie Jo Simox for reservations, 570-748-8708. May 24, 2018: Williamsport, PA, Christian Women's Club Brunch, Community Baptist Church, 1852 State Route 87 Nort, Montoursville, PA , 9:30 a.m. Contact Opal Schlappi, 570-435-2325 for reservations. June 18, 2018: Cooperstown Christian Women's Connection lunch, Tally Ho restaurant, 159 East Main Street, Richfield Springs, NY, 11:00 a.m., Contact Cindy Hoffman, 315-691-3706 for reservations. June 19, 2018: Mohawk Valley Christian Women's Connection, Harts Hill Inn, Clinton Street, Whitesboro, NY, 11:30 a.m., Contact Bonny Niles, 315-737-8611 for reservations. June 20, 2018: Herkimer Christian Women's Connection, Travel Lodge, 20 Albany Street, Little Falls, NY, 11:00 a.m., Contact Heidi Hanes, 315-823-4954 for reservations. June 21, 2018, Oneida/Canastota Christian Women's Connection, Theodore's Restaurant, 3231 Seneca Turnpike, Canastota, NY., 11 a.m. Contact Carol Robinson, 315-363-3897 for reservations. September 7-9, 2018, Advanced Writers and Speakers Association Conference, workshop teacher, Nashville, TN. October 26-27, 2018: West Union Women's Retreat, Penn York Camp, Ulysses, PA. Call Penn York Camp for reservations. 814-848-9811. January 8, 2017: Southside Alliance Church morning worship service, speaking on missions. February 13, 2017: Danville/Tri-County After 5, Pine Barn Inn, Danville, PA, 6:30 p.m.
February 14, 2017: Lewisburg Christian Women's Club, Country Cupboard, Lewisburg, PA, 9:00 a.m.
February 14, 2017: Lewisburg After 5, Country Cupboard, Lewisburg, PA 6:30 pm. February 26, 2017: Canisteo Wesleyan Church, Canisteo, NY, 5:30 dinner, 6:30 speaking. Call Alice at 607-698-4414 for reservations. May 6, 2017: Cassville Woman's Retreat, Cassville Baptist Church, 9559 Summit Road, Cassville, NY 10:00 - 2:00 a.m. Call Esther at 315-404-7561 for reservations. May 16, 2016: MOPs, Southside Alliance Church, Elmira, NY, 9:30 - 11:00 a.m.
December 20, 2017: Seniors' Christmas Luncheon, Maranatha Bible Chapel, Horseheads, NY, Noon. Call 607-739-3333 for reservations by Dec. 18. Free! March 23 - 30: Europe vacation. May 8, 2016: Mother's Day message at Southside Alliance Church, Elmira, NY, 10:30 a.m.
June 11, 2016: West Union Mennonite Church Women's Event, 10:00 to Noon, 1347 County Rt. 84, Rexville, NY Call the church 607-225-4421 for reservations. August 10, 2016: Meet the Author talk and book signing at Speculator Library, Speculator, NY 7:00 - 8:00 p.m.
January 30 - February 1, 2015: Dan and Elaine speaking at Montrose Bible Conference Couple's Conference, Montrose, PA.
March 21, 2015: Spa Day at Crown Alliance Church, Cortland, NY 11:00 a.m.
April 8, 9, 10, 2015: Christian Women's Connection in Hartford and Manchester, CT.
September 12 - 20: Celebrating 45th wedding anniversary in Bermuda with my beloved. October 16, 2015: Ladies' Dinner, Pine Glen C&MA Church, Pine Glen, PA, 6:00 p.m.
November 12, 2015: Watertown, NY, Women's Connection lunch, 11:30 a.m. - 1:30 p.m.
November 21, 2015: Christian Women's Connection, Trinity Lutheran Church, 72 Spring Street, Kingston, NY, 9:30 - 11:30 a.m.
December 3, 2016: Valley MOPs, Vestal, NY 9:30 a.m.
April 18: Ladies Good Friday Breakfast, sponsored by Venango Youth for Christ, Seneca, NY, 7:00 a.m.
May 3: Women's Spring Luncheon, Lockport Alliance Church, Lockport, NY, Noon. For reservations please call Sally at 716-433-9298. May 10: Women's Tea, Fellowship Wesleyan Church, West Seneca, NY, 11:00 a.m.
July 5 and July 8: Marriage seminar at Delta Lake Bible Conference Family Camp, Rome, NY, at 10:15 a.m.
July 20-25: Montrose Christian Writers' Conference, Montrose, PA on faculty teaching "Touching Hearts With Words." September 9: Batavia Christian Women's Connection, Terry Hills, 5122 Clinton St. Rd, Batavia, NY 11:30 - 1:30. Call 585-343-0642 for reservations. September 10: Rochester Christian Women's Connection, West Village Dining Room, 1477 Long Pond Road, Rochester, NY, Noon - 1:30, Call 585-368-4040 for reservations. October 4: Susquehanna Valley Writer's Workshop, Carriage Corner, Mifflinburg, PA, 10:30 a.m.
October 21: Christian Women's Connection Dinner, 6:30 - 8:00 p.m. Frosty Valley Country Club, Danville, PA. Call Nancy at 570-275-5668 for reservations. November 8: Andover Alliance Church Marriage Seminar. February 2: Speaking and book signing, Barnes & Noble, Dewitt, NY, 1:00 to 3:00 p.m.
February 18 - 25: Pastoral Care to International Workers in Bosnia! February 26 - March 5: Vacation in Prague. April 24: Mothers of Preschoolers, Watertown, NY, 9:30 to 11:30 a.m.
April 27: Dorcas Group of Prayer Mountain breakfast, St. Thomas Parish Center, New Hartford, NY, 9:00 a.m.
April 30: Christian Devotions Speak Up radio interview 6:25 p.m.
May 8: Bradford County Library, Troy, PA, speaking and signing at 7:00 p.m.
May 14: Blogtalk radio interview on GelatisScoop, 10:00 a.m.
July 10: Christian Women's Connection, Pegasus Restaurant, Coxsackie, NY 11:30 a.m.
September 17: Pottsville Christian Women's Connection, 11:30 a.m., Tassone's Catering, 318 Washington Street, Port Carbon, PA Call Gale at 570-527-2224 for reservations. September 17: Reading Women's Connection, 6:30 p.m., Giannotti's Country Manor, Temple, PA. Call Elaine at 610-301-1544 for reservations. September 18: Reading Christian Women's Connection #1, 11:30 a.m., The Riveredge Inn, 2017 Bernville Road, Reading, PA. Call Sara at 610-670-1276 for reservations. September 19: Reading Christian Women's Connection #2, 2017 Bernville Road, Reading, PA. Call Sandra at 610-939-9352 for reservations. September 19: Kutztown Women's Connection, 6:30 p.m., Janelle's Catering Hall, 360 Fleetwood Road, Bowers, PA. Call Karen at 610-750-4673 for reservations. December 3: Pulaski MOPS, Pulaski, NY 9:00 a.m.
December 7: Christmas Tea, North Waverly Chapel, Rt. 34, Waverly, NY 1:00 - 3:00 p.m.
January 17: Christian Women's Connection, Clarion Hotel, Poughkeepsie, NY 11:30 a.m.
February 2: MOMSnext, Delta Methodist Church, Rome, NY, 9:45 a.m.
March 13: Christian Women's Connection, Masonic Center, Bradford, PA, 9:00 a.m.
March 13: Christian Women's Connection, Holiday Inn, Warren, PA, 12:30 p.m.
March 15: Mothers of Preschoolers, Fulton Alliance Church, Fulton, NY, 9:30 a.m.
APRIL: We All Married Idiots: Three Things You'll Never Change About Your Marriage and Ten Things You Can book release!!! Woo Hoo!!! June 9: Women's Banquet, Crossroads, LaGrangeville, NY, 12:30 p.m.
September 8: Book signing at Sacred Melody Bookstore, Syracuse, NY ll:00 to 3:00. October 23: Mothers of Preschoolers, Baldwinsville, NY Assembly of God Church, 9:00 to 11:30 a.m.
November 1: Moms NEXT, Fulton Alliance Church, Fulton, NY 9:30 - 11:30 a.m.
November 3: Barnes & Noble booksigning, Elmira, NY, 2:00 to 4:00. November 27: Mothers of Preschoolers, Watertown, NY, 9:30 - 11:30 a.m.
December 4: Christian Women's Club, Bohn's Restaurant, Batavia, NY, 11:30 a.m.
December 5: Christian Women's Club, Golden Ponds Restaurant, Rochester, NY, Noon. March 22: Teen MOPS at Delta Methodist Church, Rome, NY, 6:00 p.m.
March 26: Trinity Lutheran Church Women's Dinner, Ithaca, NY, 5:30 p.m.
April 14: Christian Women's Connection, Best Western, Watertown, NY, 11:30 a.m.
May 5: Mothers of Preschoolers, Athens Wesleyan Church, Athens, PA, 9:30 a.m.
June 4-5: Rome Alliance Church, Rome, NY, Spring Missions weekend. Dan and I will speak on our trips to Bosnia. August 10-13: Greater Philadelphia Christian Writer's Conference, Philadelphia Biblical University, Seminar Leader. Pray for me, dear Diane. Love you.